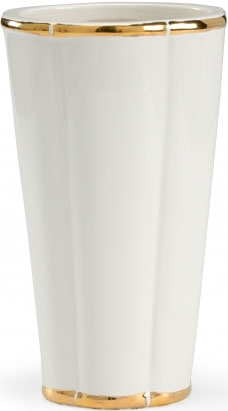 This beautiful lambert vase in off white finish is all made by using high matter porcelain. 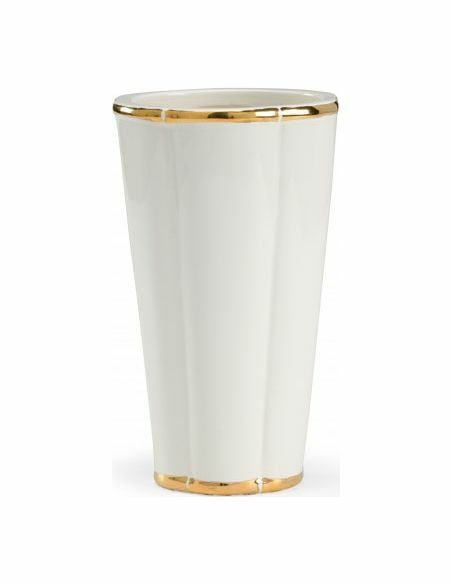 Showcasing beautiful inverted lines all over, this tall vase can keep you high in styling your interiors. 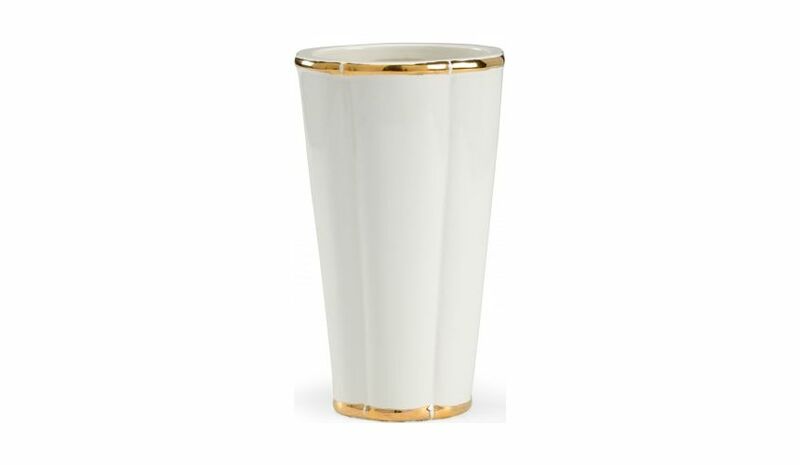 The contrasting design in old gold all around the rim makes it highly distinguished and classy. It can uplift the modern appearance of your home in a sophisticated manner.